Justin Sullivan/Getty ImagesProtestors run by a defaced sign at a Wells Fargo Bank during Occupy Oakland’s general strike on November 2, 2011 in Oakland, California. Reuters reported that President Trump’s pick to lead the Consumer Financial Protection Bureau, Mick Mulvaney, was considering easing penalties against Wells Fargo over improper mortgage lending practices. Trump tweeted Friday that there would be no reduction in penalties against Wells Fargo. President Donald Trump went after Wells Fargo on Friday after reports that a top consumer watchdog could ease penalties against the bank. Reuters reported on Thursday that Mick Mulvaney, the director of the Office of Management and Budget Director and newly appointed head of the Consumer Financial Protection Bureau, was reviewing whether to enforce millions of dollars in penalties against the bank for some of its mortgage-lending practices. Wells Fargo admitted to improperly charging customers a fee to secure a lower rate mortgage between 2013 and 2017. According to Reuters, the bank the the CFPB had agreed to the terms of a fine in early November. According to the report, Mulvaney froze the settlement and was reviewing it for possible reduction after taking over for former director Richard Cordray. 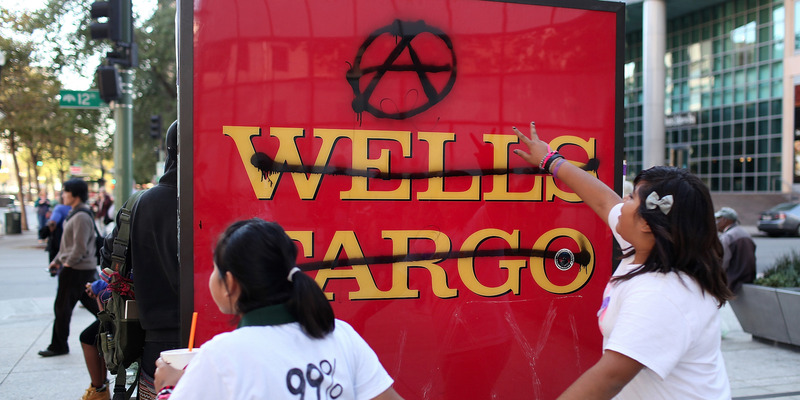 Wells Fargo is already planning to refund customers who were incorrectly charged the fee. The mortgage issue is just another in a line of recent scandals that have hit Wells Fargo – most notably, the revelation that employees opened millions of checking and credit card accounts for customers without their knowledge. The fake accounts scandal led to a $US185 million fine from regulators – including the CFPB – congressional hearings, and the retirement of then-CEO John Stumpf.